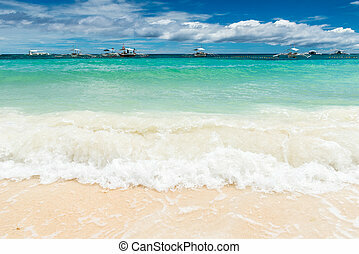 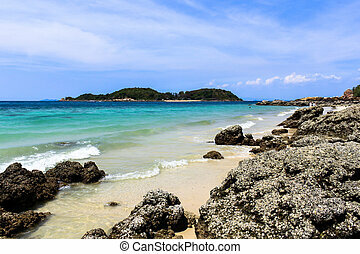 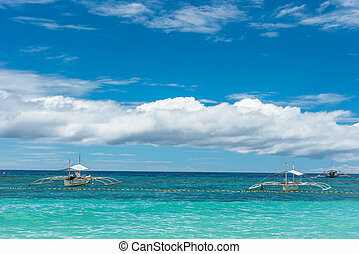 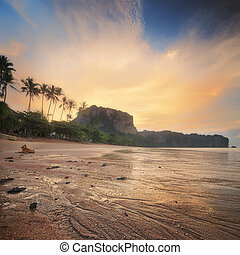 Travel landscape, beach with blue water and sky at summer. 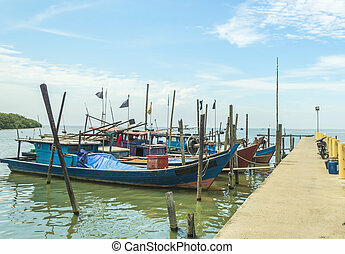 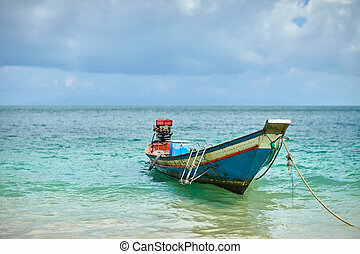 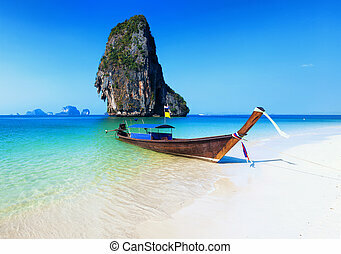 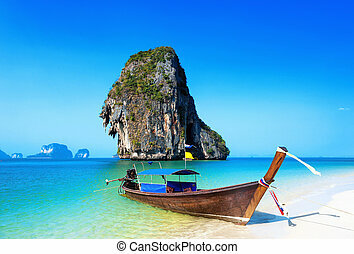 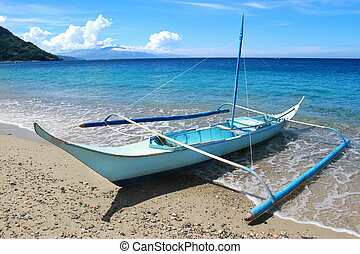 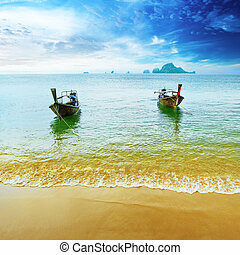 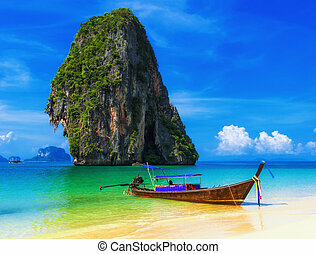 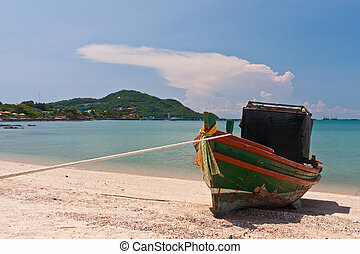 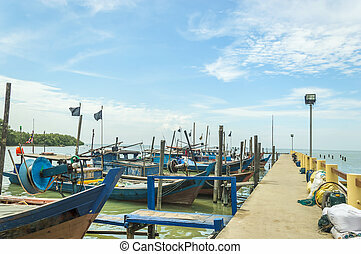 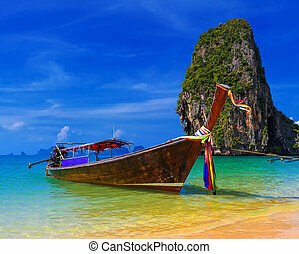 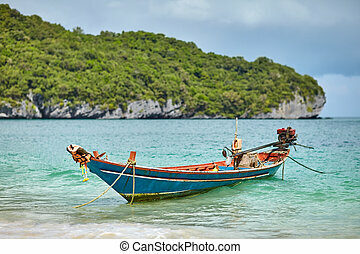 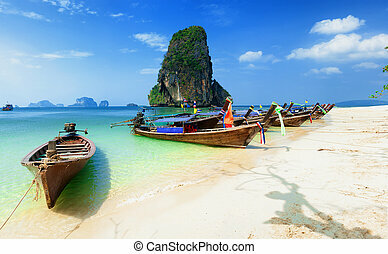 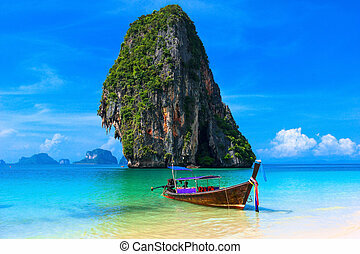 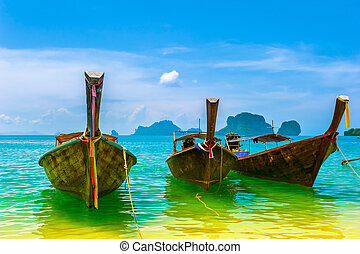 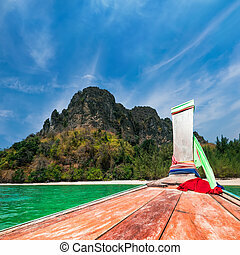 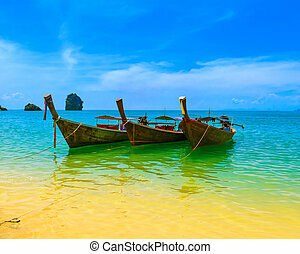 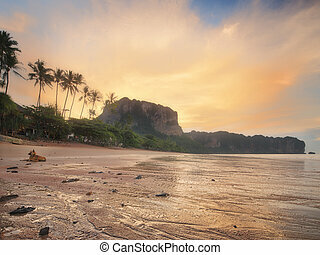 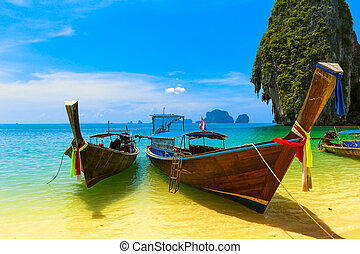 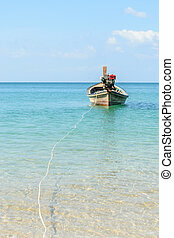 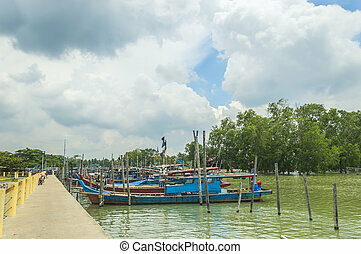 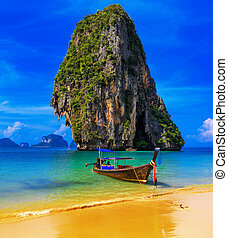 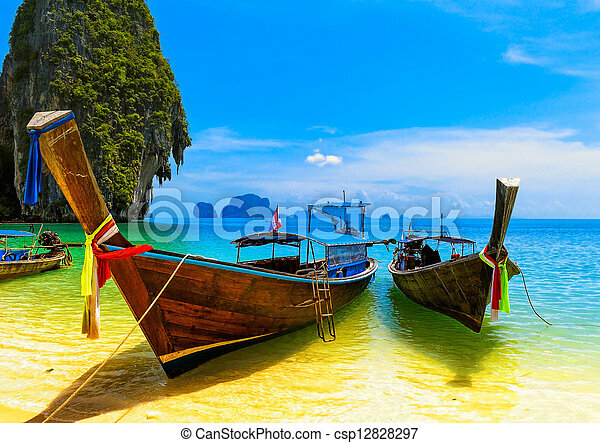 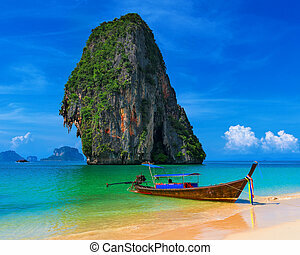 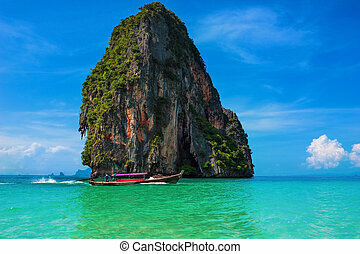 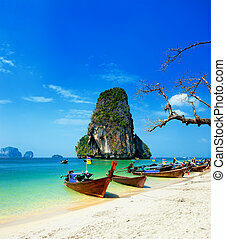 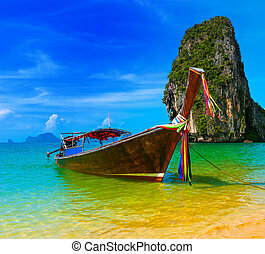 thailand nature beautiful island and traditional wooden boat. 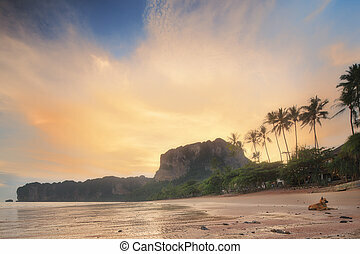 scenery tropical paradise resort.